“Can aid do more harm than good?" This article from the BBC (British Broadcasting Corporation) website details examples from several African countries. Note that "NGO" is an abbreviation for "Non-Governmental Agency," which refers to charities and other agencies distributing aid. This article, published in the German newspaper Der Spiegel, is an interview with an economist from Kenya. The article details the harms associated with food aid in Kenya and other poor countries. "How We Use Food Aid"
Here the World Food Programme (WFP) details the benefits of the food aid it provides as part of the United Nations. Other parts of the WFP's Web site will also be helpful, as they contain interactive maps and information about different countries. 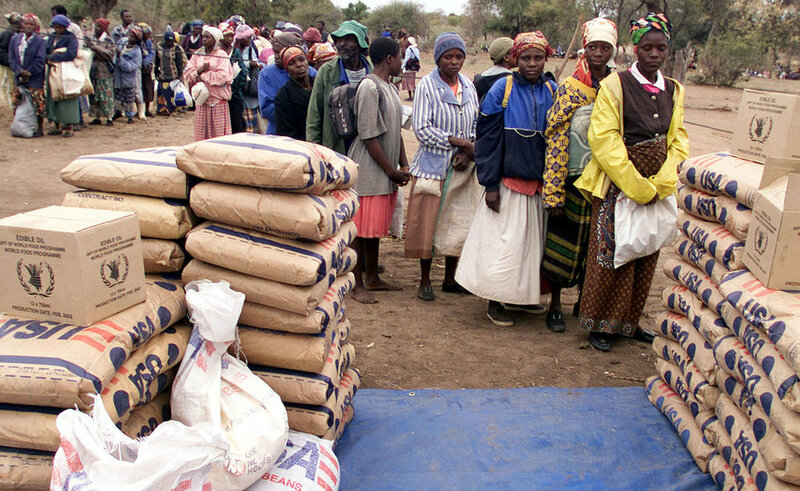 "Fifty Years of U.S. Food Aid and Its Role in Reducing World Hunger"
This article, published in the journal of the United States Department of Agriculture, argues for the benefits of food aid to many countries over 50 years.